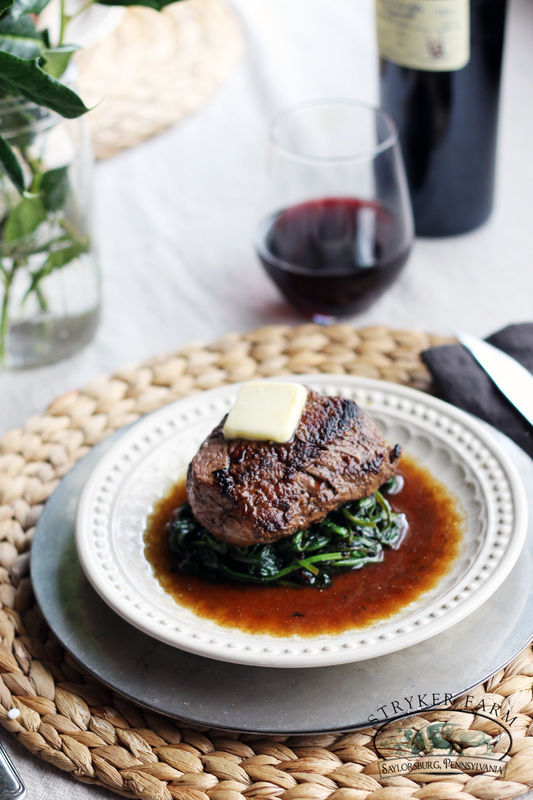 The ultimate date night meal! 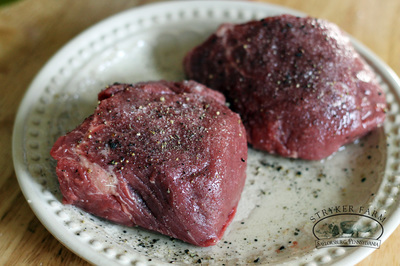 Filet Mignon is so incredibly tender and flavorful you’ve got to let the meat be the star. 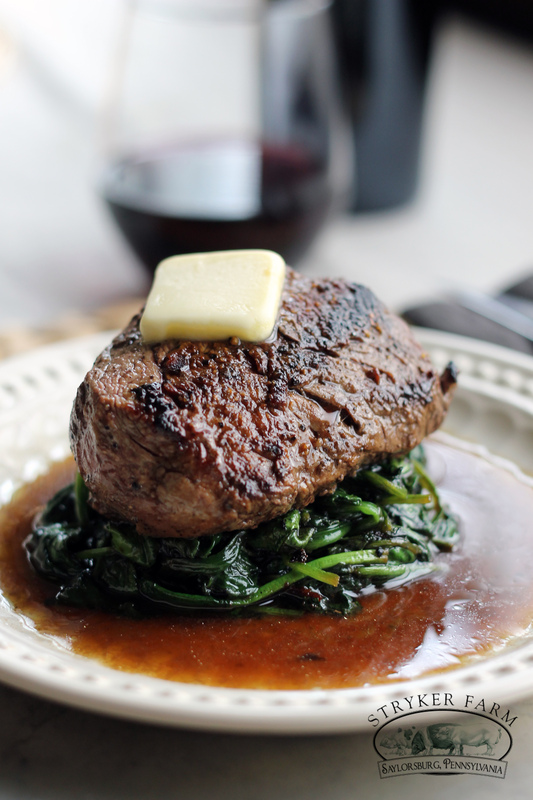 A simple preparation with butter let’s the filet’s flavor do the talking. 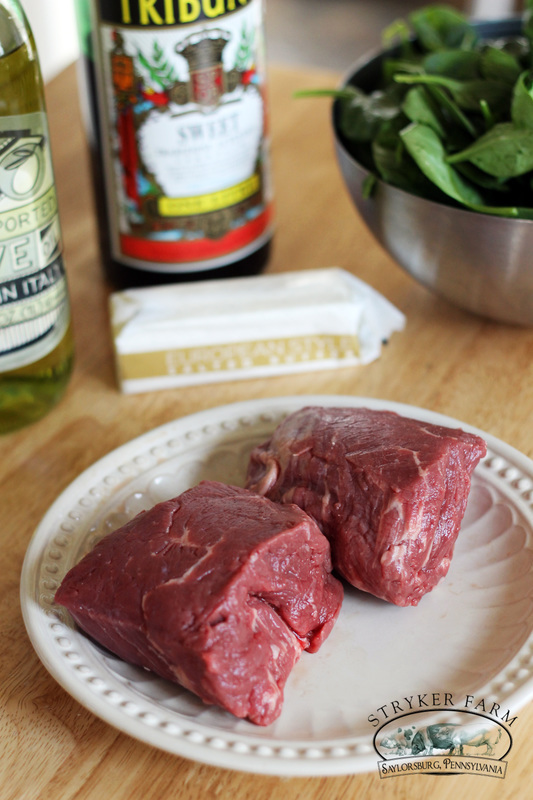 Take out the filets and pat them dry. Massage some olive into them and generously season with sea and pepper. Allow them to rest until they reach room temperature. 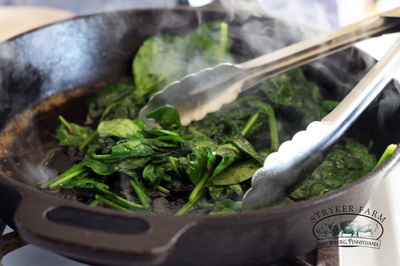 Heat a non-stick pan (preferably cast iron!) until it’s roaring hot and smoking. Now is the time to turn on your overhead exhaust on high. Place the filets in the pan and sear on one side for 8 minutes. 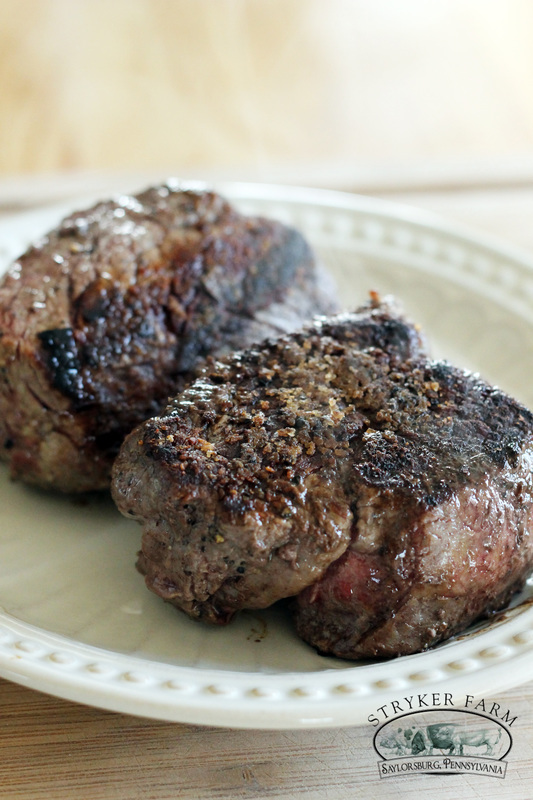 Flip with a pair of tongs and sear the other side for another 5 minutes. For a warm medium rare center allow the steak to reach a 130° F internal temperature. 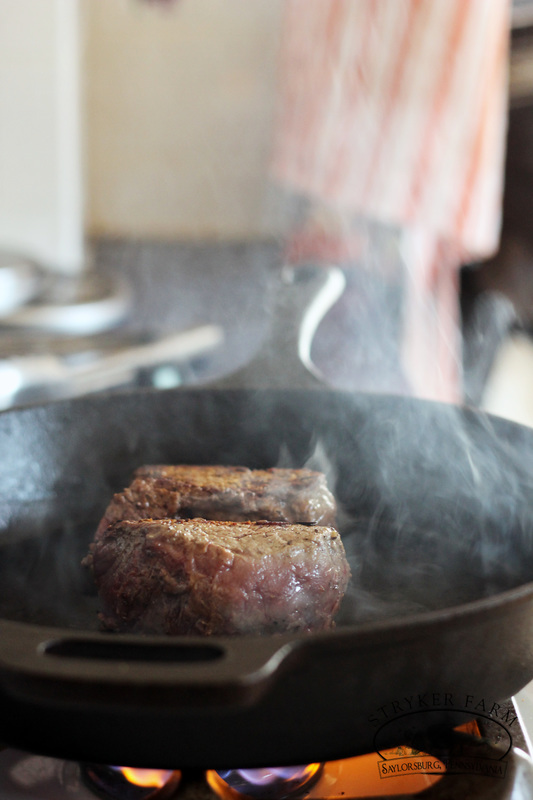 Take them out of the pan and allow them to rest with a pat of butter on top. Turn the heat down low and deglaze the pan with the vermouth. Add the spinach to the pan and wilt the spinach. 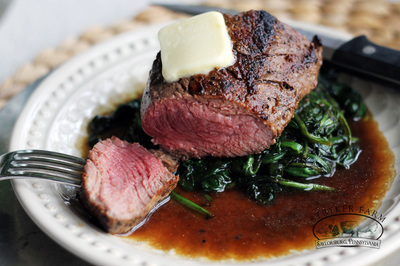 Pile the spinach on a plate, top with the buttery filet and pour the pan juices over top. ​Voila! 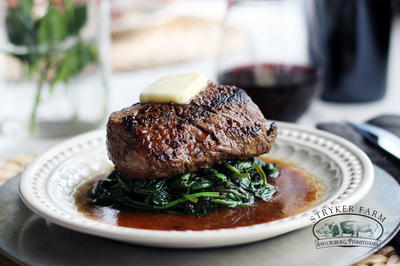 A spectacular dish awaits you and the lucky person you’ve cooked for.